Please attention: soles color are not fixed, we are random delivery Features: 1). The design so adorable and fashionable. 2). 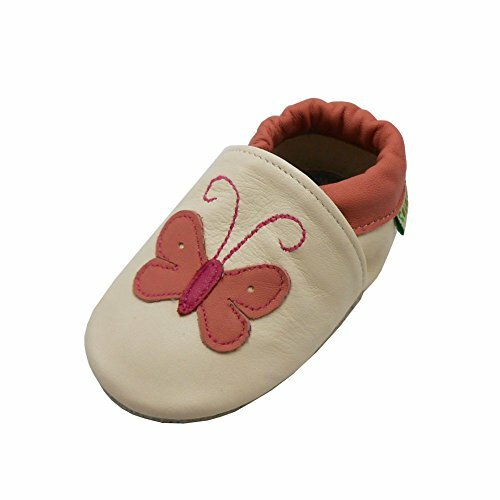 The fabric is very comfortable for baby to wear in spring, summer, autumn. 3). 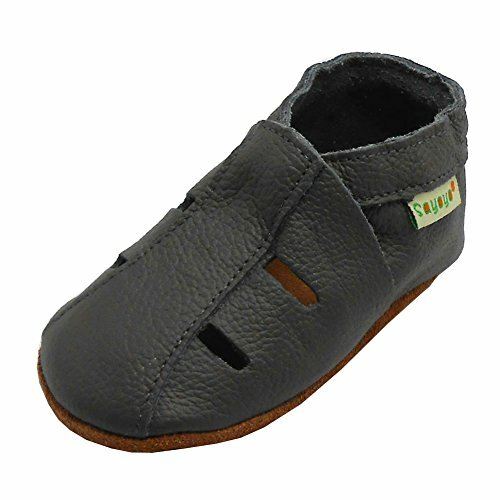 The sole of shoes is soft and thin suitable as baby prewalker. 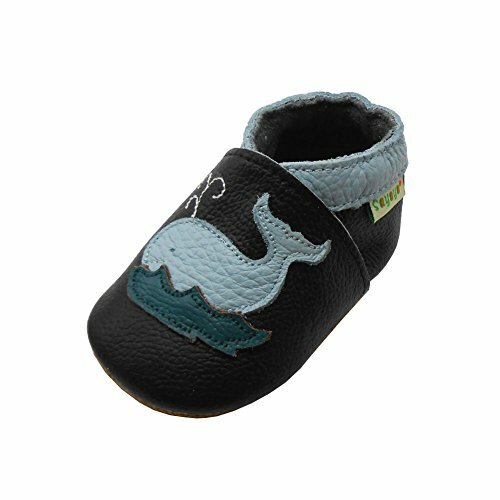 Size: 3-6 months-----3.5/4 M US Toddler-----4.5 inch----- 11.5CM 6-12 months-----5/6 M US Toddler-----5.1 inch-----13CM 12-18 months-----6.5/7 M US Toddler-----5.5 inch-----14CM 18-24 months-----7.5/8.5 M US Toddler-----5.9 inch-----15CM Warm tips: Please choose the size by Sole Length, the age is just for reference. Because of different display pixel , may be the color slightly different Because of the different measurement methods,please allow around 1-2cm of the range error. If your baby is 6 months ,please choose 0-6 months size , will be more fit . 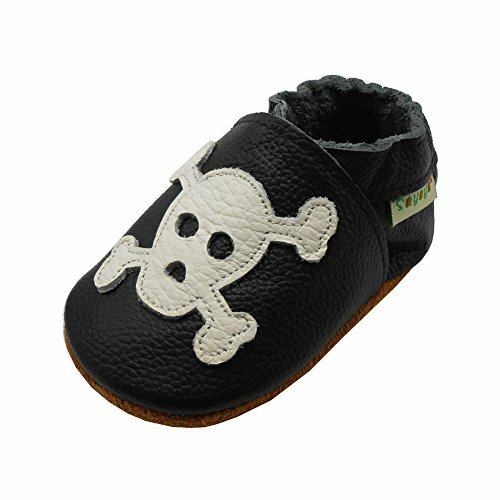 if your baby is 12 months ,please choose 6-12 months size. 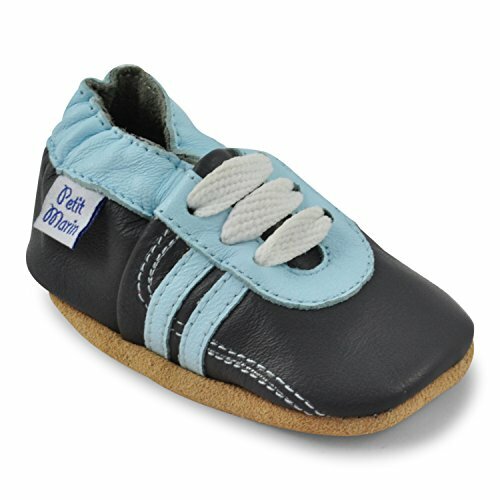 Please allow 1cm in shoes length to fit baby's feet comfortably. Features: 1). The design so adorable and fashionable. 2). The fabric is very comfortable for baby to wear in spring, summer, autumn. 3). 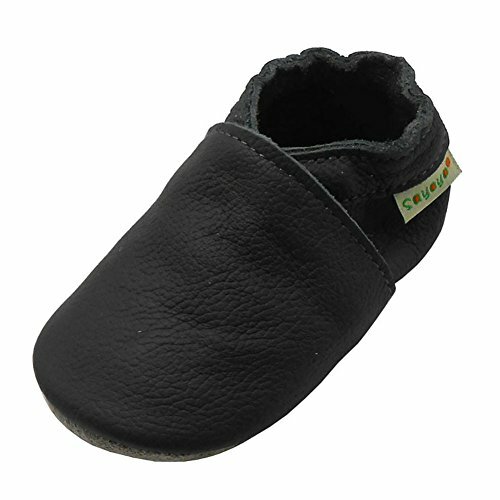 The sole of shoes is soft and thin suitable as baby prewalker. 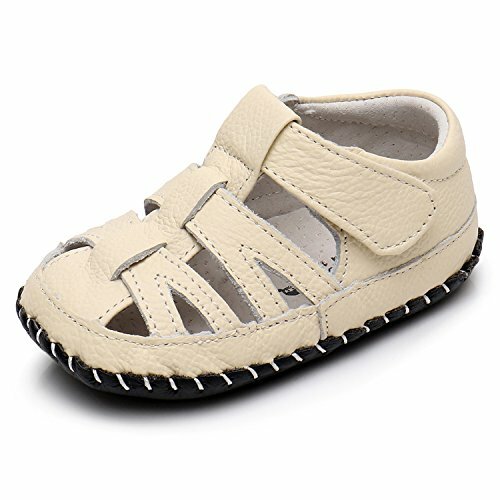 Size: 3-6 months-----3.5/4 M US Toddler-----4.5 inch----- 11.5CM 6-12 months-----5/6 M US Toddler-----5.1 inch-----13CM 12-18 months-----6.5/7 M US Toddler-----5.5 inch-----14CM 18-24 months-----7.5/8.5 M US Toddler-----5.9 inch-----15CM Note: Please choose the size by Sole Length, the age is just for reference. Because of different display pixel , may be the color slightly different Because of the different measurement methods,please allow around 1-2cm of the range error. If your baby is 6 months ,please choose 0-6 months size , will be more fit . if your baby is 12 months ,please choose 6-12 months size . 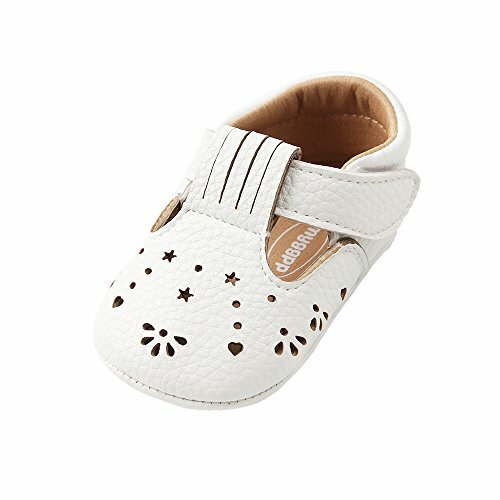 Please allow 1cm in shoes length to fit baby's feet comfortably .